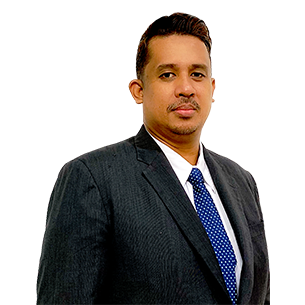 Encik Mohd Muzammir Bin Husin who was appointed as the Managing Director of Tenaga Cable Industries Sdn. Bhd. (TCI) with effect from 15th January 2019. Encik Muzammir has served for 19 years in TNB since 2000. He holds a Bachelor of Commerce (Acct-Hons.) from Lincoln University, New Zealand. Accountant – TNB Hidro Sdn. Bhd. Senior executive (Finance) – Kapar Energy Ventures Sdn. Bhd. Deputy General Manager (Finance) – Sabah Electricity Sdn. Bhd. Award for Mediation proceeding & jurisdictional challenge for Liquidated Damage (LD) of TNB Liberty Power Ltd (TNB LPL). Developed and standardize financial period closing (FINPEC) for Sabah Electricity Sdn. Bhd. Issuance of Cost Element Definition Booklet (CEDB) for TNB Generation Division.